Christmas is known for its culinary delights: pineapple basted ham, gum drop bejeweled gingerbread houses, decadently chocolate Santas, cookies galore and anything peppermint. Indeed, peppermint is a refreshingly cool taste that adds a distinctive flair to so many holiday recipes. With some added sugar, peppermint is particularly popular in the form of the colorfully striped candy canes that are stuffed in stockings and hung on Christmas trees. Today’s recipe is a twist on peppermint’s storied holiday tradition. This is definitely not a recipe for children, although this is the season that brings out the childlike delight in all. So what better celebration of the season for us “big kids” than a palate tickling concoction combining chocolate, peppermint and a hearty splash of liquor? But first, as we are want to do at AntiquityNOW, let’s take a few steps back in time. Come explore the origins of this festive libation, and see what nature and man have wrought. Peppermint or Mentha piperita was not classified as its own subspecies until 1696, but the mint referred to in ancient texts is believed to be peppermint, thus claiming a very ancient past. The confusion arises due to peppermint, spearmint and generic mint being used interchangeability in documents. The ancient Greeks also heralded the importance of mint by mythologizing the fragrant plant. Minthe in Greek mythology was a river nymph who dwelled in the Cocytus River, one of the five rivers of Hades. 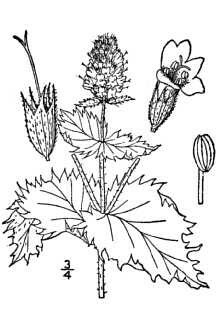 As was often the case with the libidinous Greek deities, Hades took a liking to the nymph, but was thwarted when his wife Persephone discovered the dalliance and turned Minthe into a lowly plant, a ground covering that people would walk upon. Hades, however, lightened the curse, allowing the mint plant—the embodiment of his beloved—to emit a sweet smell when crushed underfoot. In the New World settlers discovered the Native Americans were already using a variety of mint for similar medicinal and other purposes. The varieties brought over from Europe eventually blended with the indigenous plants. But all has not been harmonious in the regaling of peppermint history. In the United States, a great kerfuffle has developed over one use of peppermint: in the ubiquitous Christmas candy cane. Certain tales have been woven about the religious significance regarding its color and shape. Apocryphal? Real? Click here to read more. Chocolate has been a hallowed delicacy for centuries, reaching back to the Maya and a history replete with religious and economic significance. To find out more about the sweet and piquant origins of chocolate, click on Hot Chocolate: Gift of the Gods Since 1900 BCE and Hot Fudge Sundae: A Dessert 5,000 Years in the Making. See how the Maya and their later Aztec conquerors revered chocolate. By the way, for you chocolate aficionados who draw sides in the great ongoing debate of whether white chocolate is indeed authentic, legitimate, bona fide chocolate, click here for the scoop. No less than the FDA weighs in on this one. So this Christmas season, enjoy the libation that not only pleases, but also fixes what ails ‘ya. 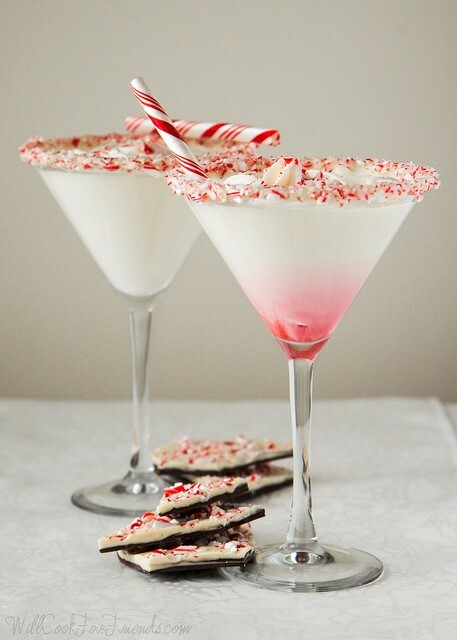 Visit Will Cook for Friends for the delicious White Chocolate Peppermint Martini recipe. This entry was posted in Blog, Bon Appetit Wednesday, Culinary, Culture and tagged ancient food, ancient history, ancient peppermint, AntiquityNOW, chocolate liqueur, peppermint bark, peppermint bark martini. Bookmark the permalink.